This past week I took a day off of work to go on a Lighthouse viewing cruise from the Maine Maritime Museum up in Bath, Maine. It was an amazing afternoon out on the water. As we pushed off and headed down the Kennebec River, we got a beautiful view of Bath Iron Works and the Route 1 bridge. A little further along we came across Doubling Point Light. Even though this was a lighthouse cruise there was still plenty of wildlife to found, including osprey and bald eagles. 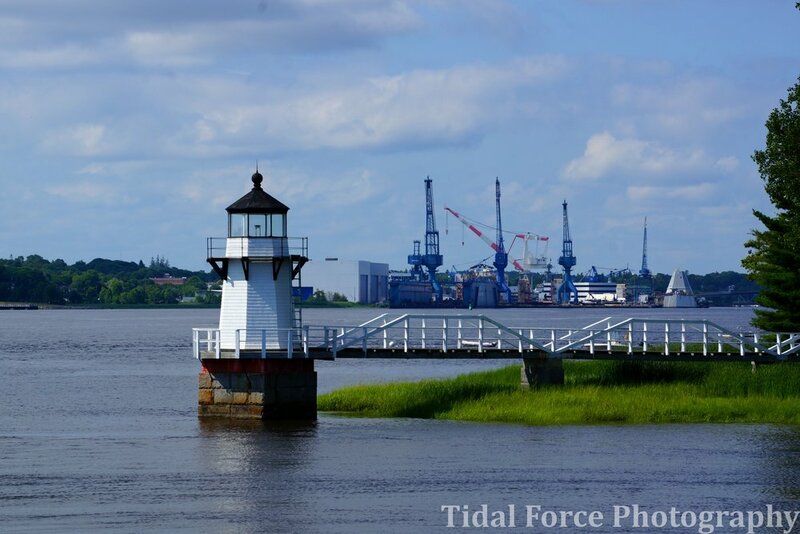 The Kennebec River has a rich history of shipping and ship building, requiring the building of many lighthouses along its shores. I don't think I've ever seen so many lighthouses on what seemingly is just a wide river channel. Further along was both Squirrel Point Light and Perkins Island Light. As we got closer to the ocean, we got beautiful views of Pond Island Light and Seguin Island Light. After seeing the Cuckolds Light, Ram Island Light, and Burnt Island Light, we came across our last lighthouse of the cruise, Hendricks Head Light. This was was my favorite lighthouse of the cruise. I loved the way it sat out on the point and the square tower is a nice change.